Patients with diabetes are at an increased risk of developing eye diseases that can lead to vision loss and blindness, such as diabetic retinopathy, cataracts and glaucoma. In fact, diabetes is actually one of the leading causes of blindness in the United States. Diabetic eye conditions often develop without any noticeable vision loss or pain early on, so significant damage may already be done to the eye by the time patients notice any symptoms. For this reason, it is important for diabetic patients to have their eyes examined at least once a year. Early detection of eye disease can help prevent permanent damage. Diabetic-related eye problems develop from high blood sugar levels, which can cause damage to blood vessels in the eye. Over 40 percent of diabetic patients will develop some form of eye disease in their life. The risk of developing eye problems can be reduced through regular eye exams and by keeping blood sugar levels under control through a healthy diet and regular exercise. Dr. Villavicencio specializes in all facets of cataract surgery including premium lenses for maximizing vision, post RK/LASIK patients, and eyes with Keratoconus. As a corneal surgeon, he is especially attuned to patients undergoing cataract surgery who have ongoing ocular surface and corneal conditions in order to achieve maximal refractive outcome. Dr. Villavicencio is trained in all facets of corneal transplantation including the ultra thin Descemet Membrane Endothelial Keratoplasty (DMEK) to treat all layers of the cornea. 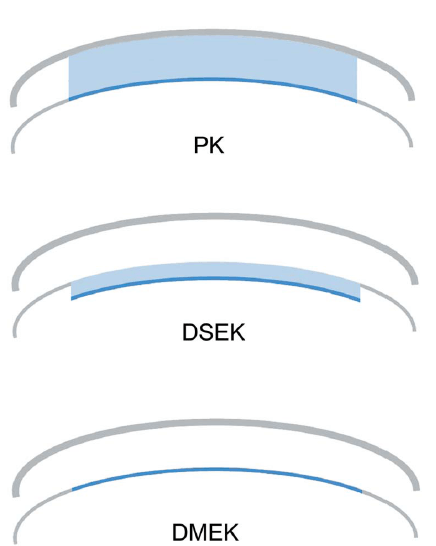 In some instances, he can combine cataract surgery with DMEK corneal transplantation in 1 surgery to achieve superior outcomes. 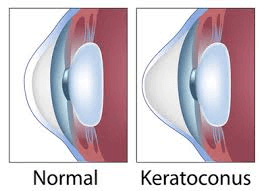 Keratoconus is a condition where the cornea progressively gets thinner and bulges forward leading to decreased vision and scarring. 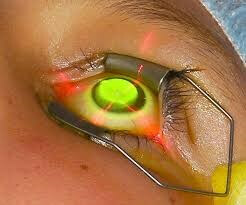 The condition was previously treated by performing a full-thickness corneal transplant in severe cases. However, with the advent of collagen cross-linking, a simple 1 hour procedure that involves NO cutting and NO sutures, can help stop the disease from progressing. Dr. Villavicencio was part of the FDA trial that helped gain approval for collagen cross-linking in the USA in 2016. Dry eyes are a common problem here in the Sonoran Desert. Not only can dry eyes cause eye pain and irritation, but also decreased vision. In addition to a foreign body sensation and decreased vision, dry eyes can also cause tearing, light sensitivity and in severe causes, corneal scarring.